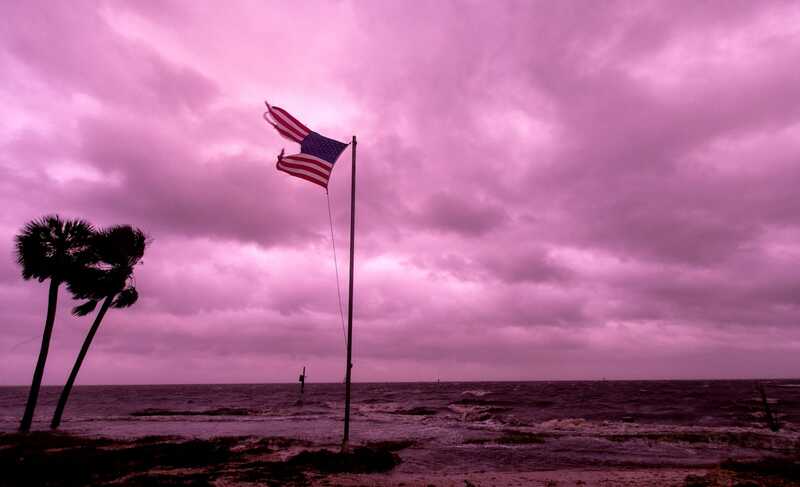 Mark Wallheiser/Getty ImagesHurricane Michael left an eerie glow over the coast of the Florida Panhandle last week. The hurricane hunter Jon Zawislak was on a plane in the eye of the storm just before it made landfall. Zawislak said flying through Michael was probably the craziest ride he’d ever taken, with turbulence that lasted more than three hours. Hurricane Michael was a powerful Category 4 storm when its eye made landfall on the Florida Panhandle last week – the worst hurricane that area had ever seen. Louis Uccellini, the director of the US National Weather Service, called it a worst-case scenario for the area. “Stay inside & survive!” he warned on Twitter. But Jon Zawislak didn’t heed that warning. Instead, he flew straight into the eye of the storm. Zawislak holds a Ph.D. in atmospheric science and works as a hurricane field program director for the National Oceanic and Atmospheric Administration. As part of that job, he was on the final forecasting flight into Michael as the storm’s eye approached land. “It was probably the most turbulent flight we’d been on,” Zawislak told Business Insider after the three pilots steering his plane safely landed the Lockheed WP-3D Orion aircraft. Hurricane-hunting missions like this are the only way that the US National Hurricane Center can collect vital information on how the eye of a big storm is developing. The flights provide data on the storm’s wind speed and pressure that can’t be gleaned from satellites above the hurricane or weather stations on the ground. 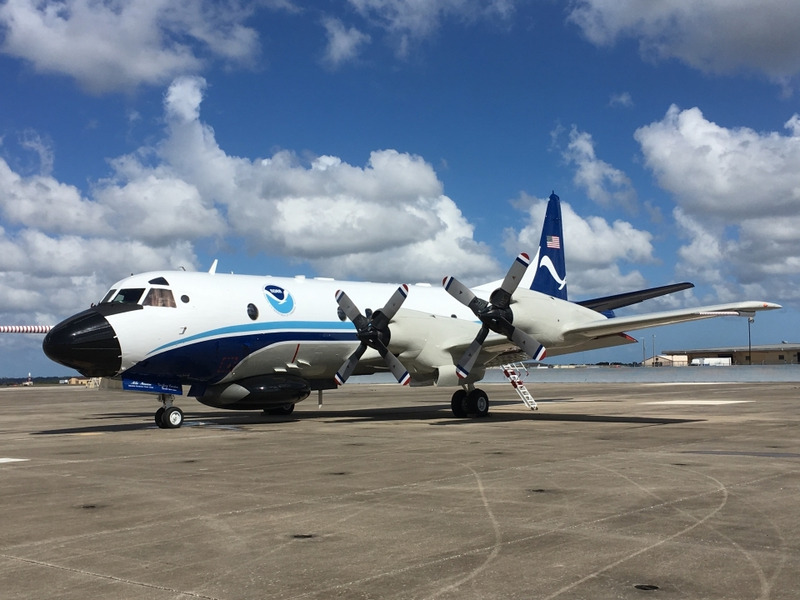 Last Thursday, Zawislak and a crew of about a dozen other scientists, pilots, and technicians strapped into their seats and took off from Lakeland, Florida, east of Tampa. The sky was still dark as they headed toward the middle of Michael’s swirling clouds; it was the plane’s fourth and last flight in the storm. It was as if, for a split second, the crew members were soaring through the air, unsupported by a plane. Then, just as suddenly, their butts slammed back into their seats. That kind of upheaval is caused by strong updrafts and downdrafts. It didn’t let up for the entire flight, Zawislak said. 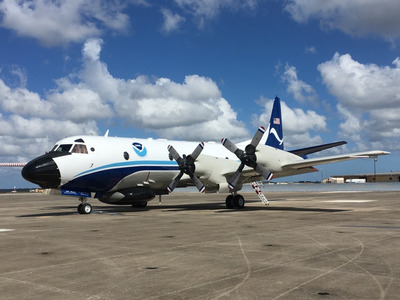 NOAA photo by Mike MascaroThe National Oceanic and Atmospheric Administration’s hurricane hunter, a Lockheed WP 3D Orion N42RF, is the plane Jon Zawislak rides in. One important measurement that hurricane hunters gather is the storm’s central pressure. As a hurricane’s winds pick up speed, the pressure at its core drops. That means fewer air molecules are circulating in the middle of a storm than are circulating around it, and the dramatic power difference is a key part of what makes hurricanes so dangerous. It’s a clear indication to meteorologists that the cyclone is gathering strength. In Michael’s case, hurricane hunters like Zawislak also recorded viciously high wind speeds inside the storm shortly before it made landfall, which was how forecasters knew it was undergoing a dangerous process called rapid intensification. Michael’s wind speed rose by more than 40 mph in less than 24 hours. Those quick shifts make a hurricane like Michael particularly tricky to plan for in advance. On the ground, Michael has so far been blamed for 26 deaths, including 16 in Florida, according to the Associated Press. More than two dozen people are still missing in Mexico Beach, near where the storm made landfall.Thousands of others are unable to reach relatives and friends, and unsure whether they’re safe. The reasons storms like Michael intensify so quickly aren’t well understood. Scientists know hurricanes are fuelled by warm water, but it’s less clear what other processes cause the vicious swirls to spiral faster and faster as they move toward the shore. On Zawislak’s flight, he said, the turbulence caused ocean buoys the crew keeps on board to fall into the aisle of the plane. He said he often took notes on what’s happening outside the plane during flights but this time could barely keep his pen on the paper. “It’s not exactly the cleanest handwriting when it’s that bumpy,” he said. His crew even lost the use of its radar system at one point, though it’s unclear whether that malfunction was due to turbulence. Nearby, an Air Force mission also flew through Michael, with that pilot said to have thought it was his bumpiest flight on record too. Once planes make it through the fray and to the eye of a hurricane, things seem suddenly calm. The surrounding clouds make it look as if one is inside a fluffy, narrow funnel. Often, meteorologists use the term “stadium effect” to describe the way a hurricane’s eye looks to a plane flying through. But these clearings are typically far bigger than a stadium. Zawislak flew through the eye of Hurricane Florence, which he said was more than 15 miles wide at one point. The meteorologist Jeremy DeHart, an Air Force hurricane hunter, grabbed beautiful footage (below) of the eerie peace inside Hurricane Michael’s eye. In the months ahead, he’ll piece together the data his team collected in the air and from the sea. He’ll examine the findings from his own flight into the hurricane along with all six other NOAA flights that flew into Michael. “This might be one of the best-sampled rapid-intensification events that we have on record,” Zawislak said. “Having the aircraft out there will allow us to learn something about rapid intensification that we didn’t know before,” he said. In the future, he hopes the data that hurricane-hunting planes collect from the air and the sea will help unravel the mystery of how storms like Michael can become so violent and deadly so fast. That knowledge would help forecasters make better predictions about how strong a future storm will get.